Want Molly to come talk to you about The Coming Swarm? 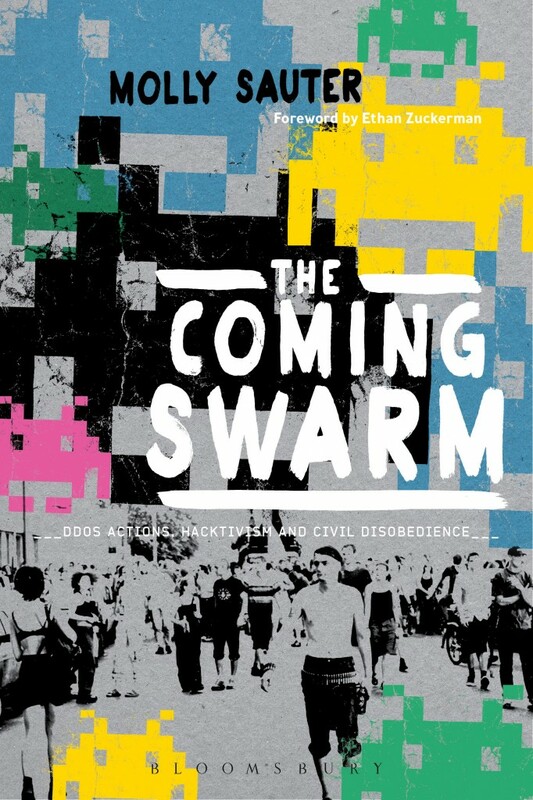 In The Coming Swarm, Molly Sauter examines the history, development, theory, and practice of distributed denial of service actions as a tactic of political activism. The internet is a vital arena of communication, self expression, and interpersonal organizing. When there is a message to convey, words to get out, or people to unify, many will turn to the internet as a theater for that activity. As familiar and widely accepted activist tools—petitions, fundraisers, mass letter-writing, call-in campaigns and others—find equivalent practices in the online space, is there also room for the tactics of disruption and civil disobedience that are equally familiar from the realm of street marches, occupations, and sit-ins?